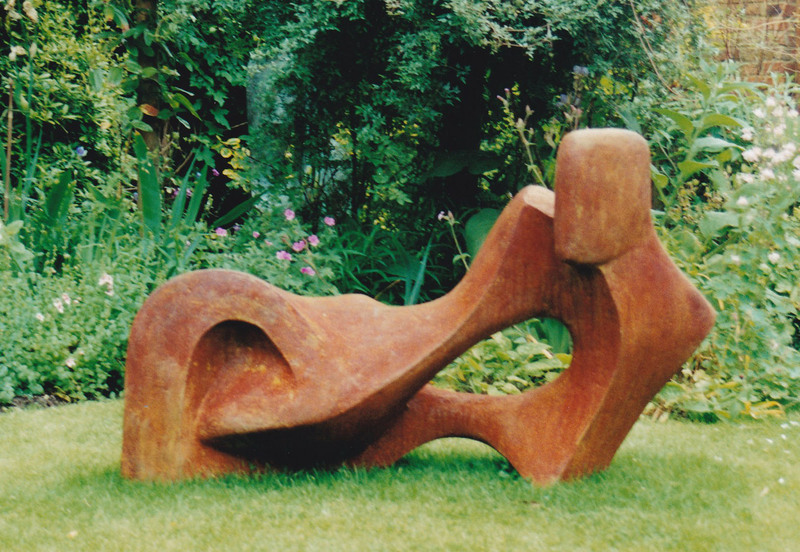 Choosing a garden sculpture that will add individuality to your home. Many people only think about choosing a garden sculpture when they ask a professional to redesign their garden, and in some ways this is a good starting point as they can then ask their designer to factor in a special place to display something of their choice. 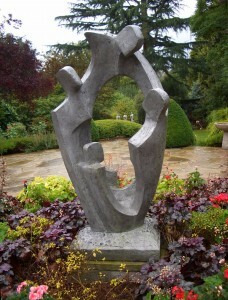 But there is no reason why you cannot create an area in your existing garden or patio which is suitable for a sculpture. Garden Sculpture is not just for stately homes or public gardens but is a way of expressing your personality and choosing something special for your needs – something that will give you years of pleasure. Aluminium Resin Sculpture used as a centrepiece on a terrace. 1. Style. The first thing to consider is that you select a statue or garden sculpture that you really like – even love. It can give you the same pleasure as having your garden filled with beautiful flowers and trees throughout the year. If you like to keep up with current trends then a contemporary piece by an avant garde artist may be the best for you. If you prefer a traditional style then maybe a classical sculpture would suit you better though these are really most suitable for the very formal gardens of historic or period properties. My garden sculpture with its semi-abstracted human forms seems to appeal to many people’s tastes and fits well in most styles of garden. 2. Viewpoint. This will very much depend on the size and shape of your garden. 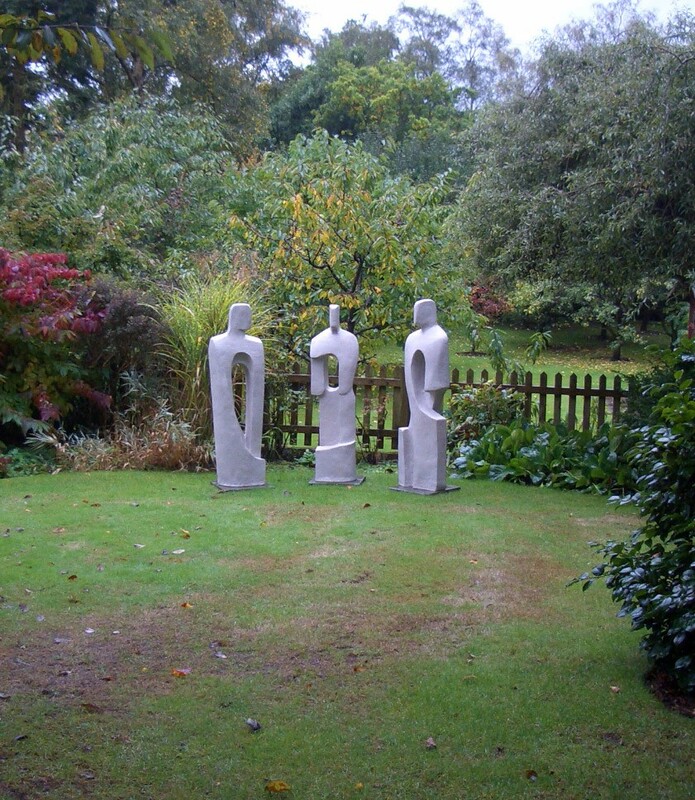 Do you want your sculpture to be seen from the house, or even a specific room, the living room, bedroom or kitchen? In fact, one of my clients has even moved his place at the kitchen table, so that every morning he can enjoy the play of light, sunshine or shadow, on his newly acquired work of art. Or do you wish to create an element of surprise as you come across it in a secluded area? A sculpture placed at the end of a pergola or path can have a dramatic effect. 3. Scale. The size and shape of a sculpture is also very important. Obviously a large artwork might overpower a small patio or roof terrace, and a small insignificant piece would get visually lost in a large space. Ideally the most satisfactory way of judging scale is to try it for size. I quite often take sculptures to prospective clients so that we can see the effect in different parts of their garden. Otherwise it may be a question of using your own judgement and trying things of different sizes and shapes in the proposed location. For a five or six-foot piece, ask a friend to stand in the right position, for something smaller use a garden chair, a pile of rocks or pieces of wood. Don’t forget that you can almost always place your sculpture on a plinth or pedestal if you have fallen in love with a piece which is not quite the right height. This can be particularly helpful if your sculpture is to be placed in lush planting. 4. Materials. The traditional materials for garden sculpture in the past were stone and bronze and these are beautiful and hard-wearing. If you are choosing stone you need to make sure that the stone used is suitable for exterior use; in fact I do not recommend the Ancaster and soapstone that I use for interior display as they may be subject to penetration by rain which may freeze in winter and may split the stone. I therefore sometimes create pieces in reconstituted stone for greater durability. For limited edition cast sculpture I tend to use resin versions of bronze, aluminium or iron as an alternative material. It resembles foundry cast metal, but is lighter in weight and less expensive, making it more affordable for many clients. The patination can be varied to suit the client’s requirements. In recent years it has also been a popular choice by both private and corporate clients as it is less likely to be stolen just for its metal content. Other materials include metal, wood and glass. Many sculptors nowadays work in sheet metal, such as corten and stainless steel or aluminium particularly for contemporary abstract forms. It is virtually indestructible and can be finished in different colours. Although wood is a material beloved by many people, you should remember that it is generally not very durable unless treated and may weather badly after a few years. For small sculptures, mainly suitable for placing in garden beds, glass has become a popular choice for small inexpensive pieces which can add colour and interest. ‘Ready Player One’, Steven Spielberg’s most recent science fiction adventure, is being filmed in Birmingham and at Warner Studios, Leavesden by Deep Blue Productions, and I was recently approached by them to hire some sculpture for a scene to be shot in an office setting in the City of London. They particularly wanted two large sculptures which would reflect the corporate nature of the set and would fit in well as a scenario for a futuristic society. They selected ‘Joy of the Family’ and ‘Pas de Deux’ both of which appear on my website, shown in garden settings. ‘Ready Player One’ is based on the book by Ernie Cline and includes Simon Pegg, Tye Sheridan, Ben Mendelsohn and Mark Rylance in the cast. It will not be released until March 2018, so it will be some time before we see the result. 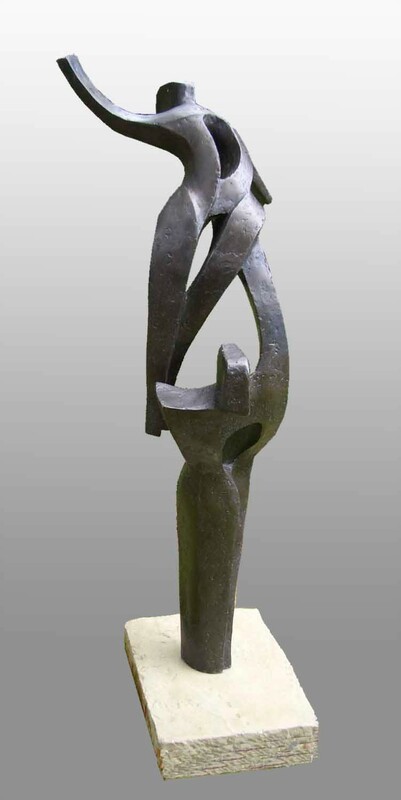 If you are interested in hiring one of my sculptures for a film or TV programme, for a photo shoot in a magazine, or for an advertising campaign please do get in touch by emailing info@johnbrown-sculptor or phoning Pauline Brown on 020 8441 5841.